Did I Cause My Son's Food Allergy? When I was raising my twins, I remember the pediatrician telling me to hold off on introducing the common food allergens until they were at least 12 months old. He even went on to suggest skipping peanut butter and peanut products until 18 months. As any mother would, I followed the guidance of my pediatrician, but with the first introduction of peanuts my son suffered an allergic reaction. New research suggests waiting is the wrong idea – and the guilt starts. Is it My Fault My Son Suffers a Potentially Fatal Food Allergy? According to research, waiting to introduce the most common food allergens – often referred to as the top 8 – does not decrease the likelihood of food allergies in children. 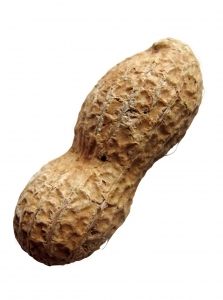 Reports go on to state early introduction to peanuts, cow’s milk and egg may actually reduce the risk of sensitization, but it was also research that lead my pediatrician to suggest putting off introduction of common food allergens just 10 years ago. There is little doubt the truth is up in the air. With conflicting research comes conflicting reports from allergists and confused, guilt-ridden parents. The comments from some parents published on food allergy support and news websites border on irate. Parents have no idea what they are supposed to do – old research days don’t feed your children common food allergens, but new research says you were supposed to be feeding them to your child the entire time. The pain is most devastating for parents of children with life-threatening food allergies, like me. My son lives every day with a cloud of worry – or at least I do – that invisible peanuts will somehow make it into his bloodstream – his body will insanely overreact – and anaphylaxis begins. The mere thought that a parent could have caused the sensitivity is enough to cause tears – many tears. Next: Is Early Drinking Linked to Verbal Development?